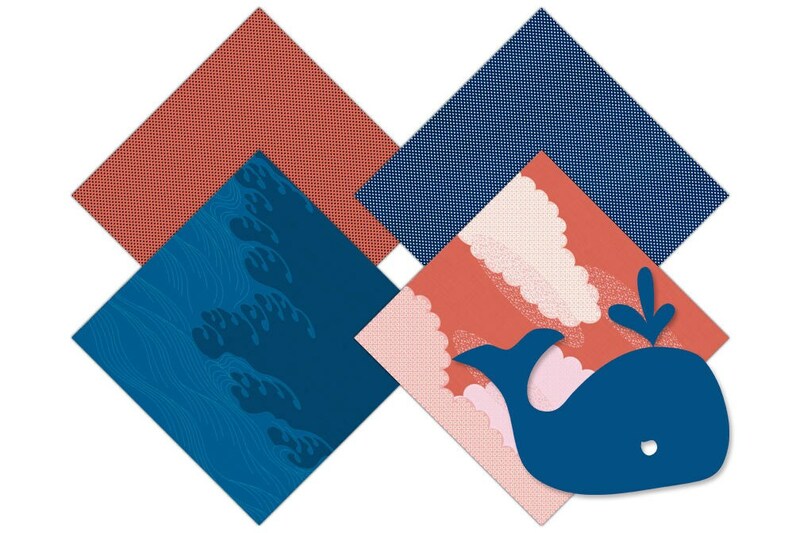 NAVY & ORANGE WHALE DIGITAL PAPER PACK : COMMERCIAL USE DIGITAL PAPERS! 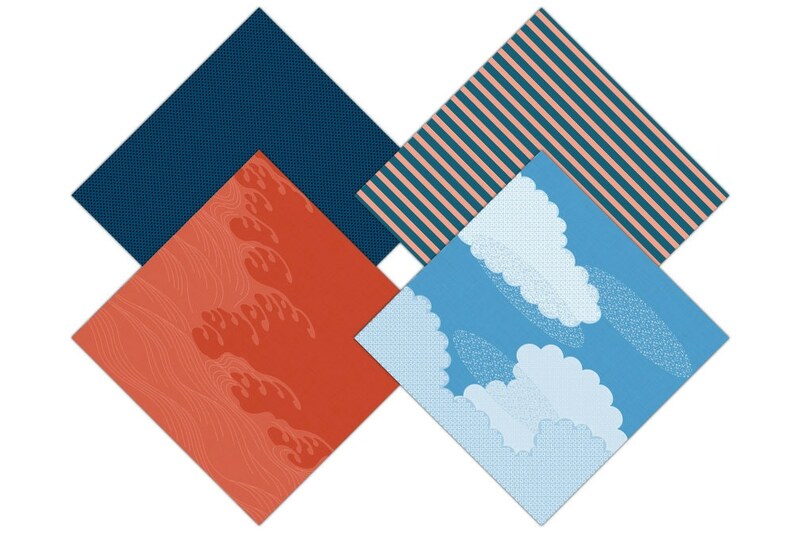 Have fun creating with this Set of GEOMETRIC & ILLUSTRATED DIGITAL PAPERS ! 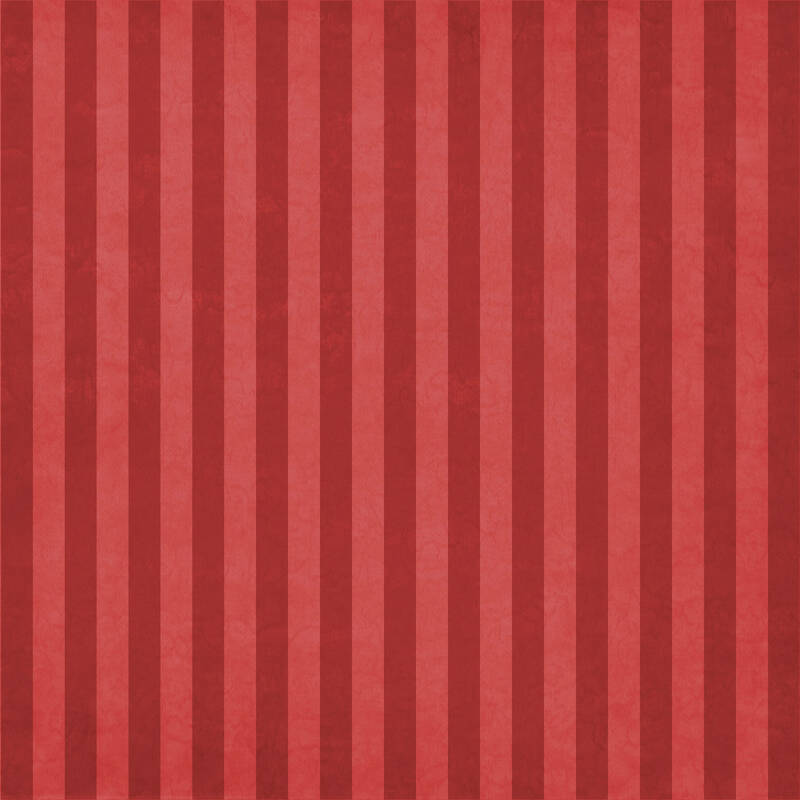 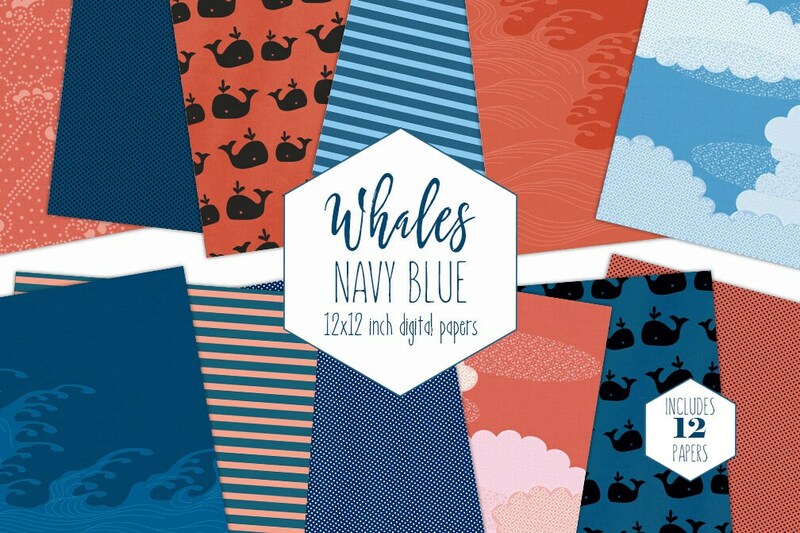 NAVY & CORAL WHALE DIGITAL PAPERS! 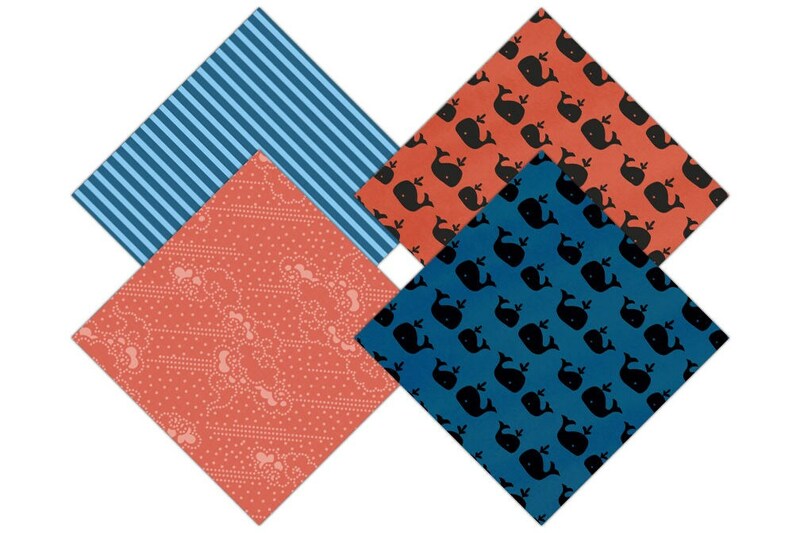 Polka Dots, Clouds, Wave, Stripes, and Whales!